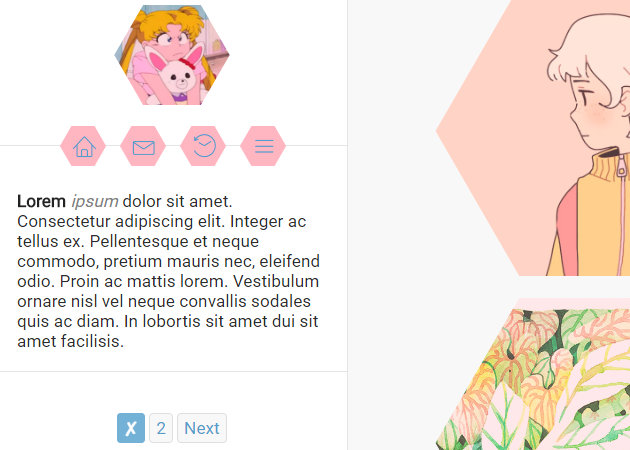 Honeycomb displays posts in carefully crafted a hexagonal grid. 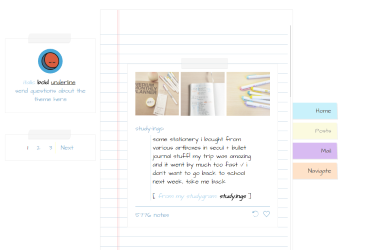 It's made with photo posts and portfolios in mind, but supports all post types. 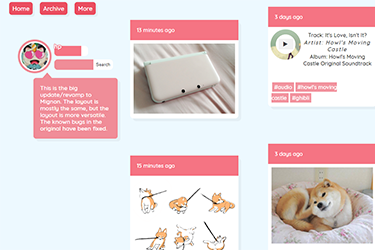 Descriptions and full images are displayed on the permalink pages. 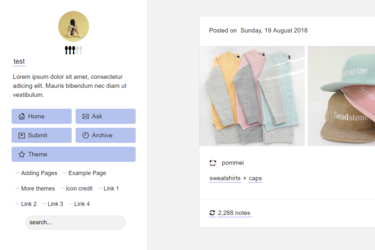 Note: To keep everything the same shape, this theme will display posts that do not include images as a solid color on the index page, but the full post will be available on the permalink pages. 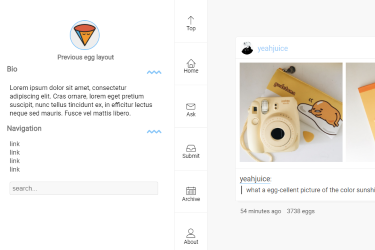 Iconic is full of customization options and has a convenient create a post feature for when you're too lazy to go to the dashboard. 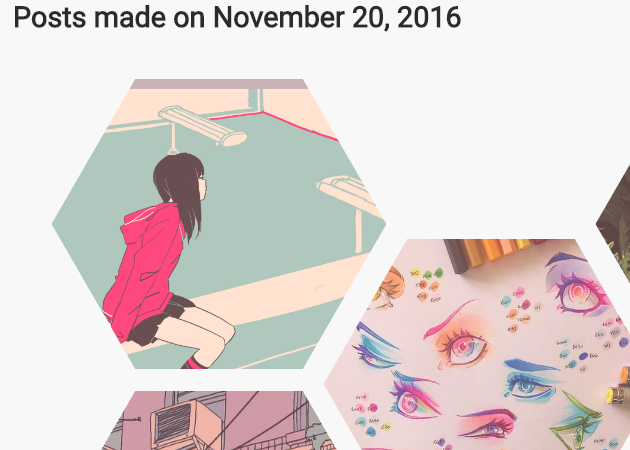 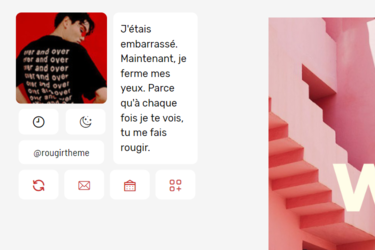 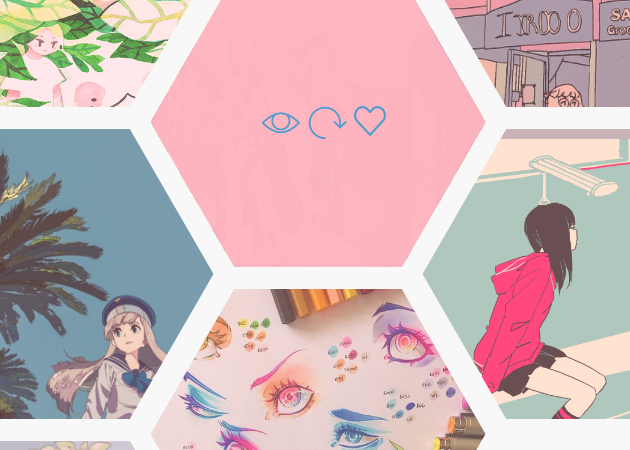 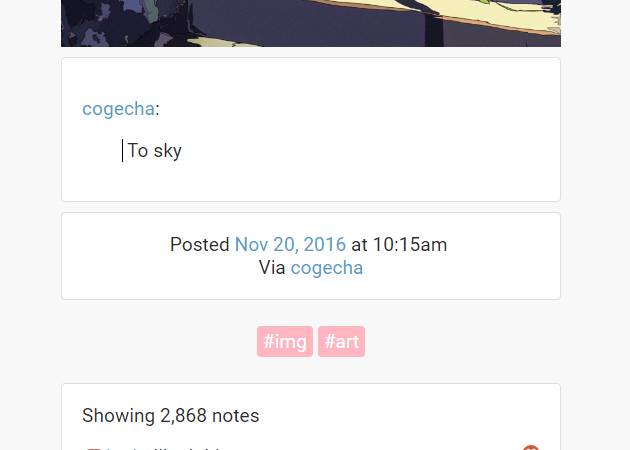 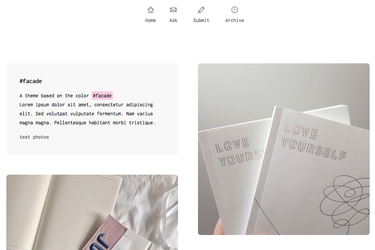 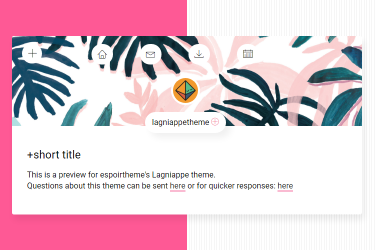 Mignon is based off of a pastel blog's aesthetic, but is still flexible enough to allow layout changes and customization to cater to any blog type. 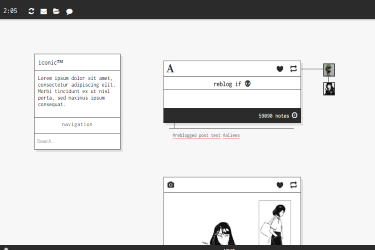 View is a multicolumn theme full of options and effects, while still keeping a clean layout. 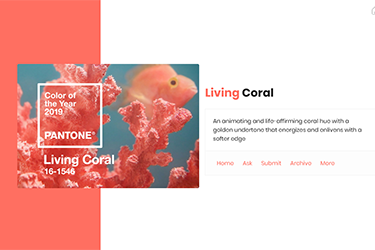 It's made for showing off a blog's content and incorporating the mobile theme. 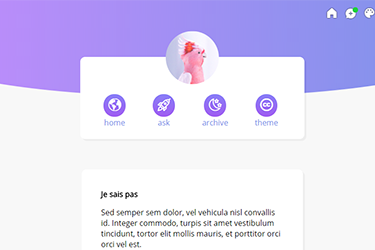 Foudre is a minimal, highly customizable theme with animations and hover effects. 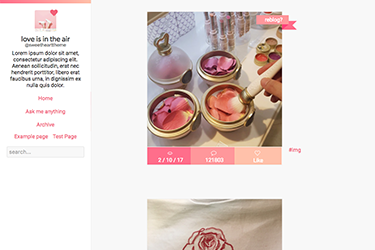 Valentine's Day inspired theme featuring liked posts and hover effects. 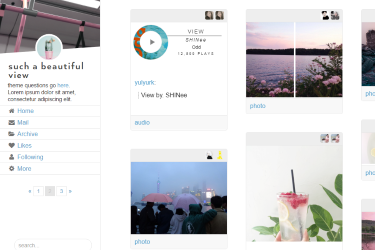 A versatile theme that can compliment both text heavy and photo blogs. 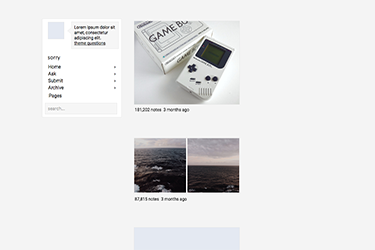 A bold theme with a grid for a sidebar. 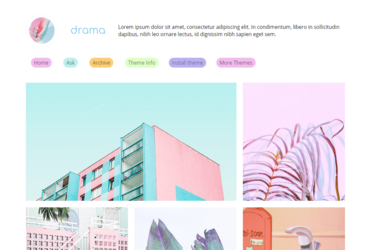 A bold theme inspired by Pantone's color of the year for 2019.